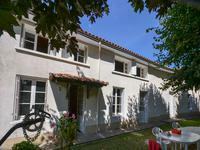 Cottage style property in the heart of Village, Charente, Poitou Charentes. Large 4 bed cottage style property, set in the heart of village. Private parking, garden and . 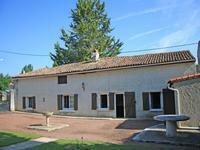 . .
Delightful Village house in good condition with garden and outbuildings. Charente, Poitou Charentes. 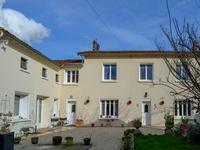 Delightful 4 bed house, situated on the edge of village. Private parking, workshop, . 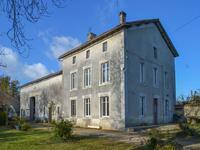 . .
Beautiful bourgeoise house ripe for renovation with several other buildings surrounded by two hectares of land. A fantastique blank canvas for renovation, offering humongous volumes and beautiful . . .
A very pretty 'heart of village' situation for this detached longère style property. At . . .
Gite complex. 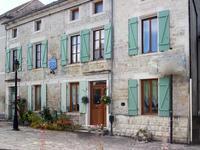 Large farmhouse divided into two properties and 5 gites, wonderful views and refurbished. Unspoilt views over the rolling countryside and sunflower fields. Nearby amenities in the . . . 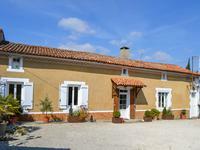 Beautifully renovated 400 year old 3 bed farmhouse with courtyard and barn. 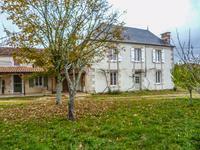 South facing charentaise farmhouse tucked away in a tranquil rural hamlet on the edge of a . . .
Detached old stone farm in a village with HUGE potential. This property has substantial . . .
A great sized house with a separate annex, which could be rented out or used for friends and . . .
Stone barn, ideal for use as a garage or storage. 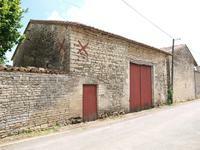 Stone barn, ideal for use as a garage or storage. It has a new roof and beautiful stone walls. A lovely stone property ready to move into, with 2 very large bedrooms, both en-suite. 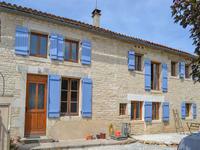 A . . .
A renovated stone property with 3 bedrooms, barn, workshop and a garden, situated in a hamlet near Villefagnan. A great 3 bedroom house, including a large master suite, with en-suite bathroom and dressing . . .